The A. Alfred Taubman Health Sciences Library building currently houses the Taubman Health Sciences Library and some academic functions of the Medical School. By moving a large portion of less frequently used library collections off-site, the university is freeing up nearly two floors of the building for higher priority academic needs. This project will renovate to varying degrees approximately 137,000 gross square feet of space in the building to make use of the vacated space and rearrange and repurpose functions in the building. 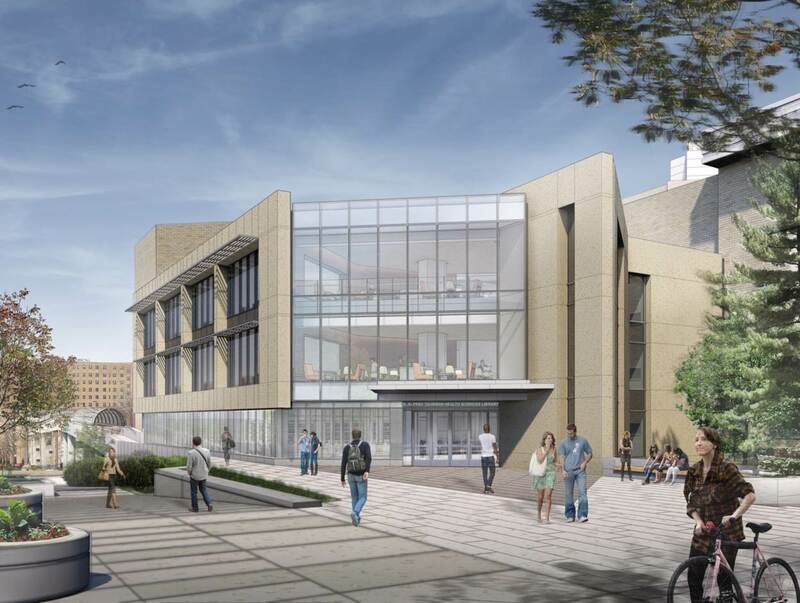 The renovated building will house a smaller printed library collection and increased health sciences instructional space, including a clinical skills and simulation suite, and spaces for computing, study, and faculty and student services.